PARIS, Jul 12, 2014/ — In a time when ready-to-wear designers create looks that would look on Instagram instead of the wearer and most couture houses still adhering to the 150-year tradition started by Charles Worth, here comes young French couturier Julien Fournié breaking barriers and begins the transfiguration of haute couture. His eleventh collection under his own name, Julien Fournié underlined the essence of his style. 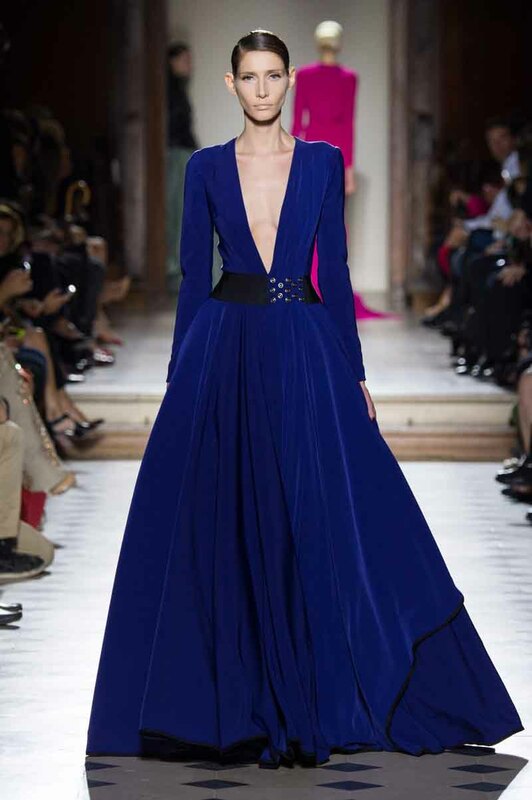 Entitled “First Impulse”, the young French couturier used the treasured tradition of folding, pleating and draping. But, he did not stop there. Adding his own technique, or figuratively speaking his own twist (or is it literal? ), Julien created architectural silhouettes that are unexpectedly voluminous. Sharp edges softened by an unexpected drape or pleat astonish and astound, giving the wearer and the beholder a surprise cynosure. This drama is enhanced further by the dramatic use of black as the central color with a few chosen contrasting colors such as fuchsia and yellow as counterpoints. “I’ve been thinking about the precise elegance of Maria Casarès in the 1945 movie by Riobert Bresson Les Dames du Bois de Boulogne. How could I render the charm printed on film in black and white, and integrate it to the necessary colors of real life?” Julien explained while asking himself a question. He found his answer in the works of German expressionist artist Otto Dix, considered one of the most important artists of the Neue Sachlichkeit (New Objectivity) movement. Taking a cue from Dix’s wont of putting colors side by side to create emotion, Julien created drama with light and shadow; black and the deep shades of colors of the rainbow.